The electric drill inventor keeps fuelling its cordless revolution. 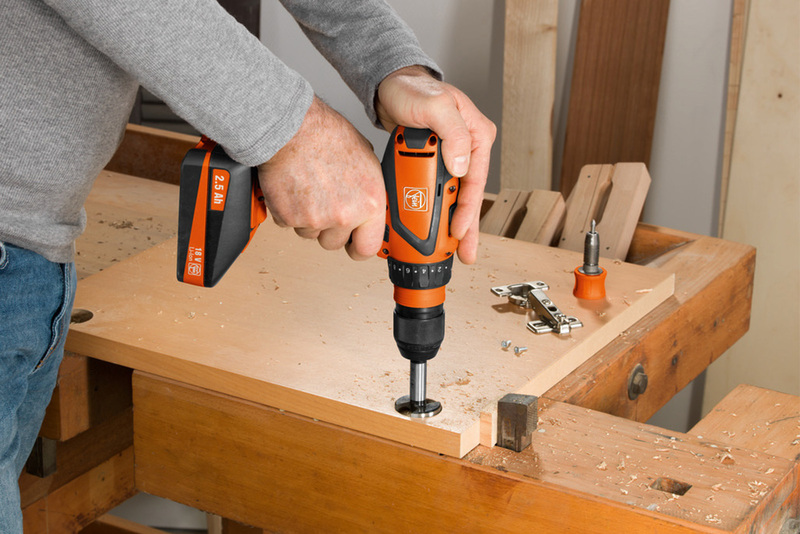 Having launched new cordless grinders, and a hammer drill earlier in the year, Fein is extending its 18 V product range with the ASCM 18 QSW 4-speed cordless drill/driver. This is an alternate version of the 12 and 18 volt ASCM machine, already popular within the community but with two new benefits. Firstly the Multi-Volt feature allows the machine to be powered by a 12 to 18 V lithium-ion battery, and secondly the body is lighter and more compact, weighing just 1.7kg. Professionals in particular need high-quality power tools that they can depend on to do the job, are easy to use and can be used for a variety of tasks. The issue of time is also an important factor for professionals because they often only have a small time window to install the kitchen in the customer’s premises or to complete interior work in general. To make this possible it is key that all the drills are supported by what is referred to as the Fein QuickIN interface, meaning the end-user can change over accessories tool free, with a large compliment that helps turn a drill into one universal tool for numerous applications. We now have the SKE drill chuck, an automatically re-tensioning drill chuck from Röhm that prevents drill bits and taps from slipping. Even in reverse running, the drill chuck is stable and remains reliably closed. Other new additions include tapping collets, which can be changed just as easily without the need for tools. The collets transmit the torque to the square surface of the tap, which prevents slippage. The big news though is that following numerous requests by community members we have now launched an angle head, which enables users to work around corners, even in tight spaces. This product development is one of many that will occur in response to ideas and tooling requests by British tradesman within the community.